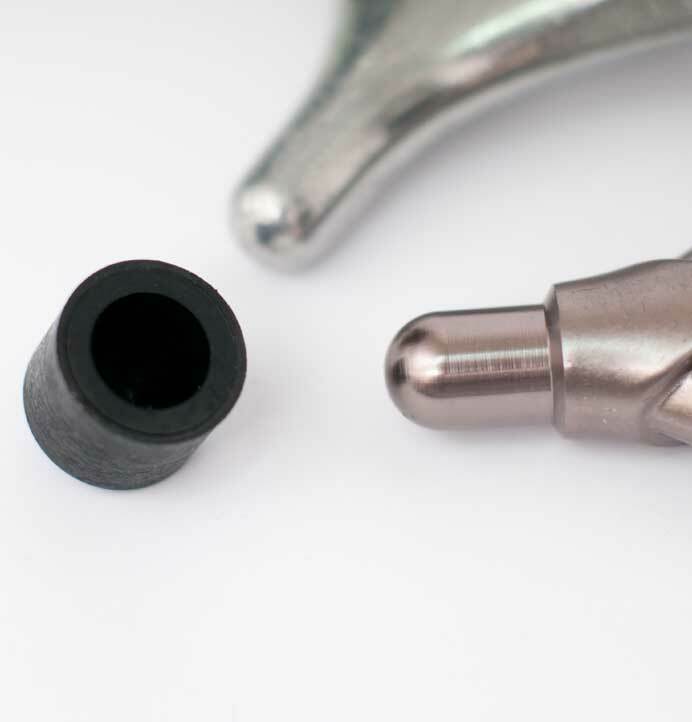 Alongside our Axle Studs, this is how we put the “Precision” in our Forged Precision Hangers. Our Forged Precision Hangers are super strong and light thanks to our Cold Forging process. But to make them worthy of the “Precision” moniker, we need to take them a step further. The heart of every truck is its pivot. 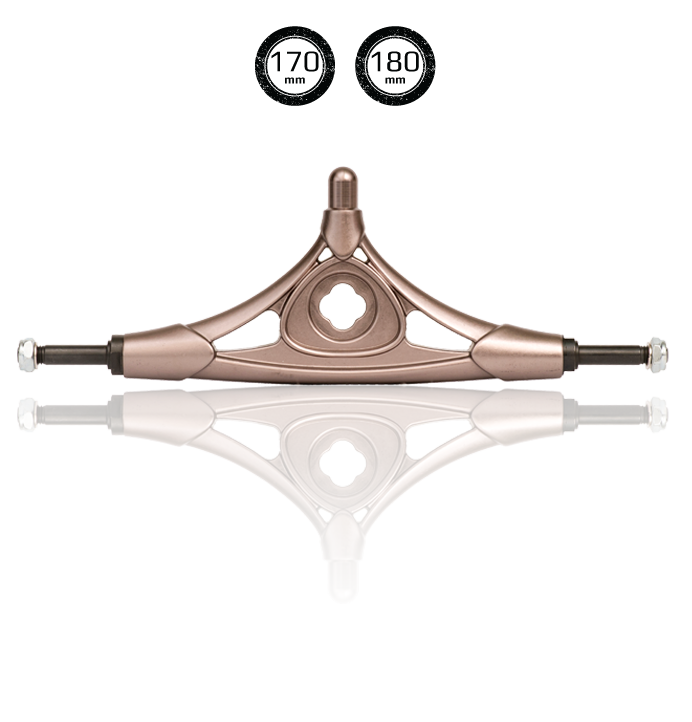 The finish, roundness and consistency of the pivot determines how smooth and “precise” the truck feels under your feet. All of our Forged Precision Hangers feature a CNC’d pivot, perfectly concentric, ultra smooth and a perfect fit on our urethane pivot cups. Catch any of our riders and they will tell you how smooth and flowing our Forged Precision trucks feel. 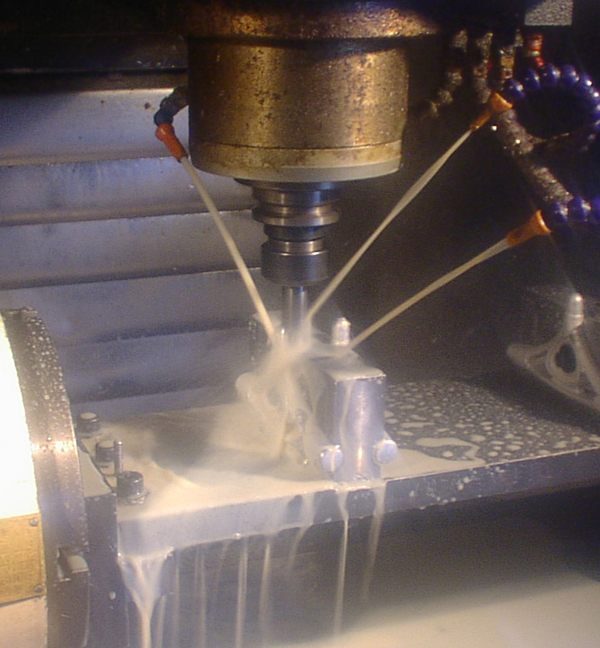 This is largely due to this feature – it’s what makes our Forged Precision trucks feel so good. 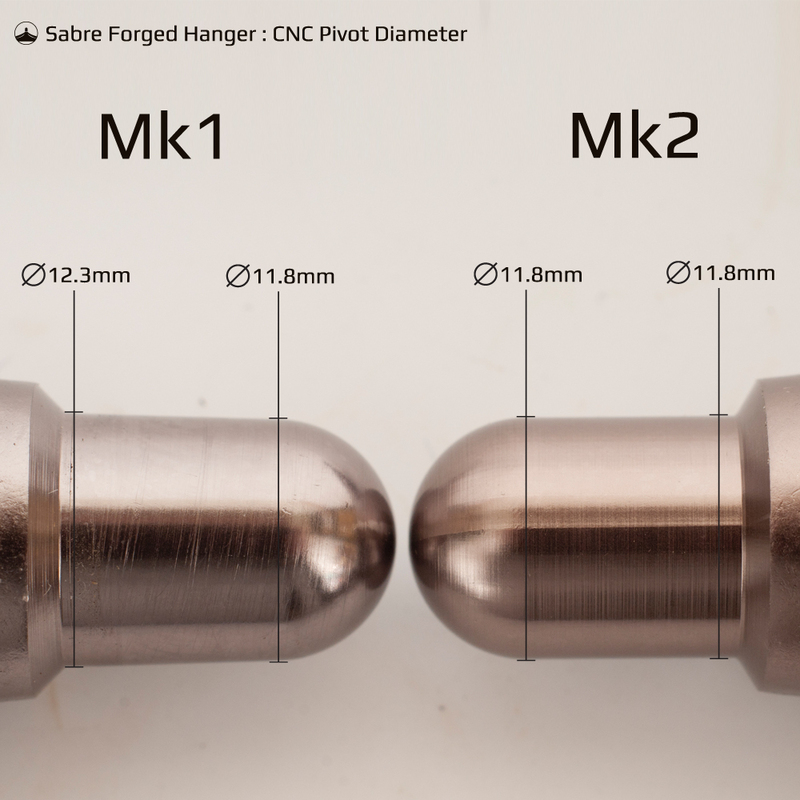 Our Mk2 Hanger features a slightly smaller pivot for even more turn and lean! Ride the best... the CNC pivot on our Forged Mk2 combined with our new pivot cup is the bomb!